During these warm summer months my five kiddos enjoy spending as much time as possible outside doing all sorts of fun things like going to the beach, swimming and riding their bikes. When they can get together with their cousins from out of state and do those things they’re thrilled and our whole extended family has a blast! 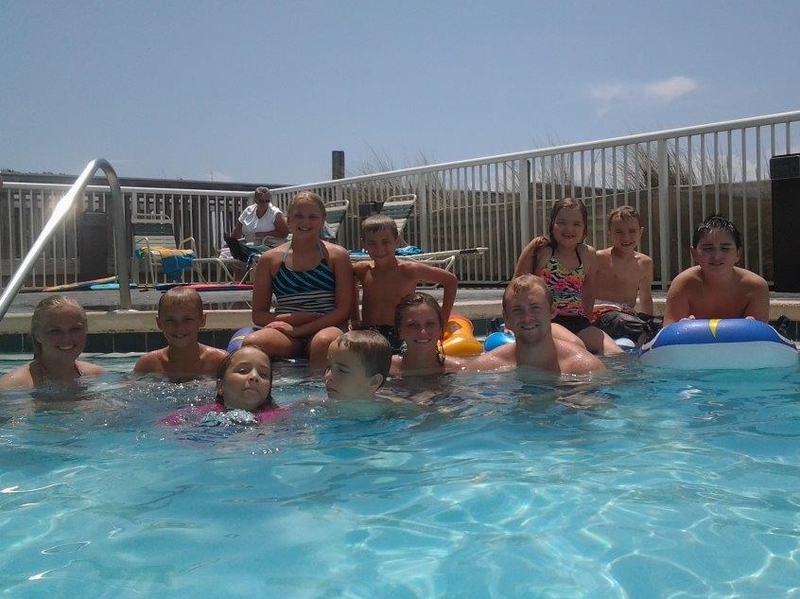 Here they are with a bunch of their cousins hanging out in the condominium pool during their visit. In order to make sure they all have an enjoyable time for the whole weekend they’re here we have to protect their skin from getting a sunburn. My kids are in summer camp during the week where they also do lots of outdoor activities there and since you should apply an ounce of sunscreen to their entire bodies at least 30 minutes before going outside, we make sure to apply it before we leave for camp in the mornings and the kids take bottles with them so they can reapply every two hours or immediately after swimming. 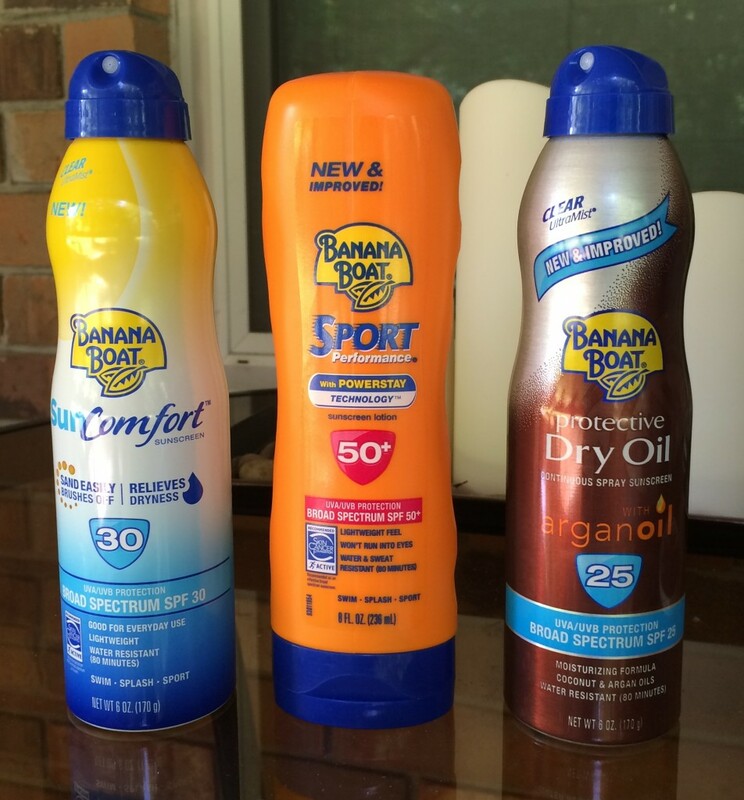 Banana Boat has three new sunscreen formulas out that I am very happy to have been able to try. 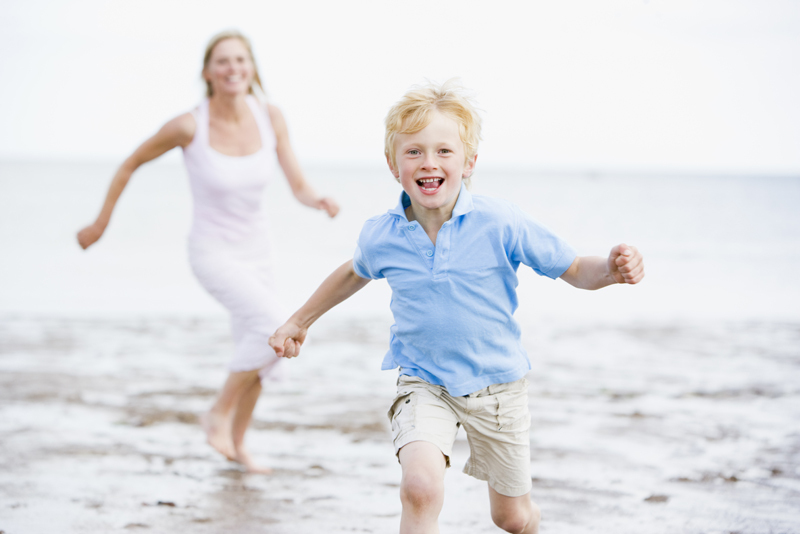 The new SunComfort Clear UltraMist® Sunscreen moisturizes skin that has been dried by the sun and chlorine, and it also allows sand to brush off easily. The newly reformulated Dry Oil Clear UltraMist® Sunscreen now includes argan oil. This one is my new favorite since the dry oil formula is lightweight and doesn’t leave your skin with that greasy feel. They’ve also launched a new Sport Performance® Lotion Sunscreen with Powerstay Technology for sport enthusiasts and active people to be sweat and water resistant for up to 80 minutes. Check out the great adventure together videos at the Great Big Family Reunion website for lots of fun family activities and you can also enter a sweepstakes for the chance to win a reunion for up to 5o of your family members. You can also click through the widget below to enter. While you’re at it, be sure to check out the Banana Boat website and follow them on Facebook and Twitter to keep up with all the latest products and promotions. Don’t Forget to Use Sunscreen! The kids will be out of school for spring break next week and I’m planning to take them out to the beach for a couple of day trips. On the days that we won’t be going to the beach I’m sure that they’ll still be spending most of their time outdoors as long as this beautiful weather we’ve been having continues. We’re in the sunny south so I’m always very careful to use a broad spectrum sunscreen on the kids and myself, but really its important no matter where you live and no matter what the weather outside is like. Even on cloudy days you can still be affected by UV rays, plus if you can see light through the fabric you’re wearing then UV rays can get through also. To protect yourself and your family from UV rays that can cause skin cancer you should put on a lotion with a sun protection factor (SPF) of 15 or greater before you get dressed and look for “broad spectrum” protection to protect against both UVB and UVA rays. 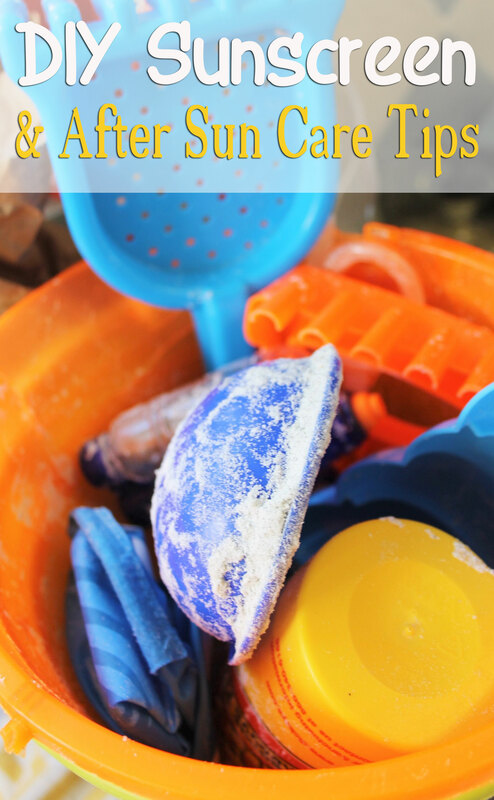 Always apply a sunscreen at least 30 minutes before going out in the sunscreen, cover up as much as possible, wear a hat, use lip balm with SPF to protect your lips, wear sunglasses that block UV rays, reapply sunscreen after swimming or sweating and try to limit your exposure during midday when the sun’s rays are most intense. 3 Hawaiian Tropic Sunblocks $7 Shipped! It’s been spring break for the kids this week and my parents took them to the beach the other day. 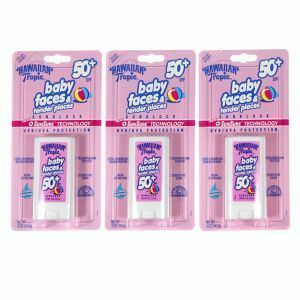 The kids had a blast and my parents put sunscreen on them but they still ended up with pink cheeks and shoulders so I was very happy to see this deal for THREE bottles of Hawaiian Tropic BabyFaces TenderPlaces Sunblock SPF50 for just $6.99 with free shipping! These bottles retail for $7.99 each so this is a super deal since you’re getting three for less than the price of one!